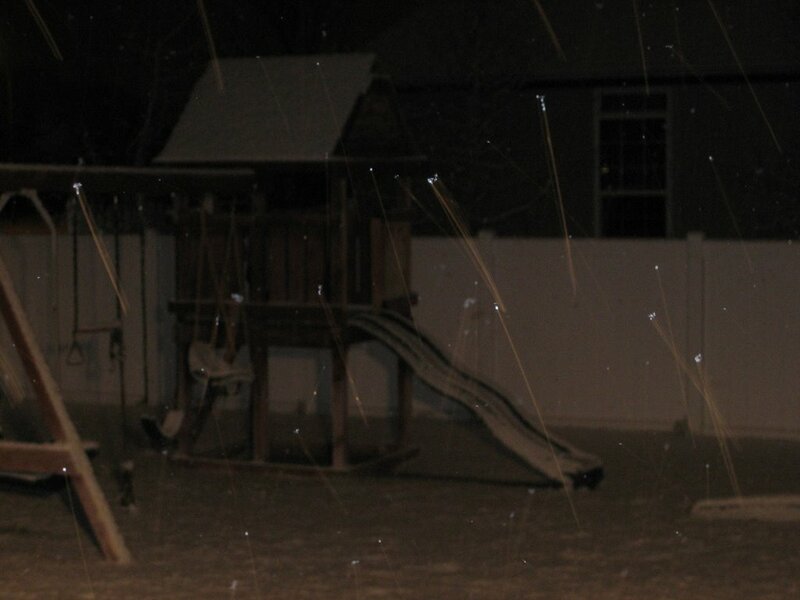 My camera didn't do the snow justice, but you get the idea. 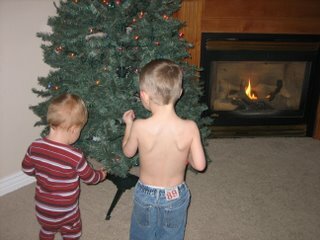 Carter and Owen enjoying the Christmas lights. 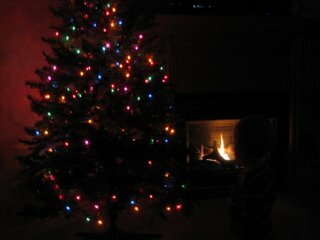 Wish you could see this better, little Owen was mezmorized by the fire and the lights. It was so cute. It always seems like it either snows before or after Christmas and I feel the Christmas Spirit too soon or too late. I always feel guilty if I feel it too soon, but this year I am going to let myself enjoy it whenever and as often as it comes! So...does anyone ever put clothes on Carter? 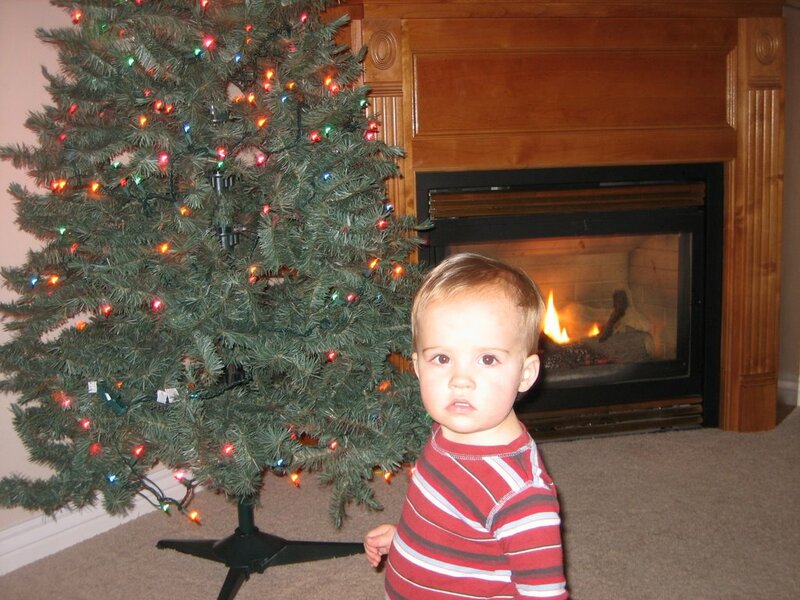 I'm glad that you're enjoying the Christmas Spirit already. I've been anxiously awaiting the appropriate time to put up my tree. The season just comes and goes so fast. I want to have time to enjoy it! Boy, do you guys know how to have a party! The best sleep-over I have been to in awhile.